Fasten your seat belt! 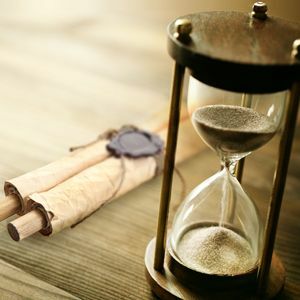 You’re now going to explore the longest time prophecy in the Bible—one that perfectly predicted the first coming of Jesus and the time of His death. In Study Guide 16, you learned that God has an extremely important message the world must hear before Christ’s return. The first part of this message calls on people to worship God and glorify Him, because the hour of His judgment has arrived (Revelation 14:7). In Daniel chapters 8 and 9, God revealed the date for His final judgment to begin, as well as powerful prophetic evidence that Christ is the Messiah. Thus, no other prophecy in Scripture is more vital—yet few are aware of it! Others completely misunderstand it. Please read Daniel 8 and 9 before starting this Study Guide, and ask God’s Spirit to guide you in understanding this phenomenal prophecy. 1. In vision, Daniel saw a two-horned ram pushing west, north, and south and conquering every beast he met (Daniel 8:3, 4). 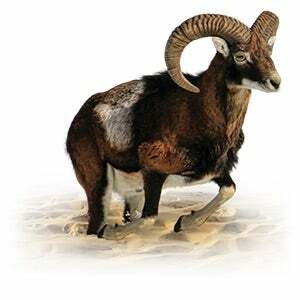 What does the ram symbolize? “The ram which you saw, having the two horns—they are the kings of Media and Persia” (Daniel 8:20). Answer: The ram is a symbol of the former kingdom of Medo-Persia, which was also represented by the bear of Daniel 7:5 (see Study Guide 15). The prophecies of the Bible books of Daniel and Revelation follow the principle of “repeat and expand,”which means they repeat prophecies covered in earlier chapters of the book and enlarge upon them. This approach brings clarity and certainty to Bible prophecies. 2. What striking animal did Daniel see next? 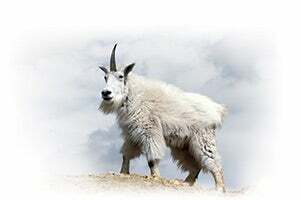 “The male goat is the kingdom of Greece. The large horn that is between its eyes is the first king. As for the broken horn and the four that stood up in its place, four kingdoms shall arise out of that nation” (Daniel 8:21, 22). Answer: Next in Daniel’s vision, a male goat with one huge horn appeared, traveling at great speed. He attacked and conquered the ram. Then the great horn was broken off and four horns arose in its place. The male goat symbolizes the third kingdom of Greece, and the huge horn symbolizes Alexander the Great. The four horns that replaced the great horn represents the four kingdoms into which Alexander’s empire was divided. In Daniel 7:6, these four kingdoms were represented by the four heads of the leopard beast, which also symbolize Greece. These symbols were so fitting that it is easy to identify them in history. 3. According to Daniel 8:8, 9, a little horn power arose next. What does the little horn represent? The “little horn” of Daniel chapter 8 represents Rome in both its pagan & papal stages. 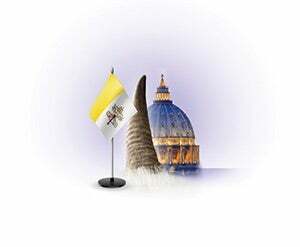 So the little horn of the last days is the papacy. B. Daniel chapter 8 says the Medo-Persians would become “great” (verse 4), the Grecians “very great” (verse 8), and the little horn power “exceedingly great” (verse 9). History is clear that no power following Greece and occupying Israel became “exceedingly great” other than Rome. C. Rome extended its power to the south (Egypt), the east (Macedonia), and the “Glorious Land” (Palestine) precisely as the prophecy predicted (verse 9). No major power other than Rome fits this point. D. Only Rome stood up against Jesus, “the Prince of the host” (verse 11) and “the Prince of princes” (verse 25). Pagan Rome crucified Him. It also destroyed the Jewish temple. And papal Rome effectively caused the heavenly sanctuary to be “cast down” (verse 11) and “trampled underfoot” (verse 13) by seeking to replace the essential ministry of Jesus, our High Priest in heaven, with an earthly priesthood that claims to forgive sins. No one but God can forgive sins (Luke 5:21). And Jesus is our true priest and mediator (1 Timothy 2:5). The little horn power persecuted and destroyed millions of God’s people. 4. Daniel 8 informs us that this little horn power would also destroy many of God’s people (verses 10, 24, 25) and cast truth to the ground (verse 12). When asked how long God’s people and heavenly sanctuary would be trodden under foot, what was heaven’s reply? “He said to me, ‘For two thousand three hundred days; then the sanctuary shall be cleansed’ ” (Daniel 8:14). 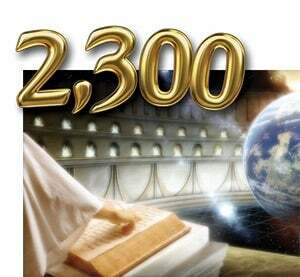 Answer: Heaven’s reply was that the sanctuary in heaven would be cleansed after 2,300 prophetic days, which is 2,300 literal years. (Remember, in Bible prophecy there is a day-for-a-year principle. See Ezekiel 4:6 and Numbers 14:34.) We have already learned that the cleansing of the earthly sanctuary took place on the Day of Atonement in ancient Israel. On that day God’s people were clearly identified as His and the record of their sins was removed. Those who clung to sin were cut off forever from Israel. Thus the camp was cleansed from sin. 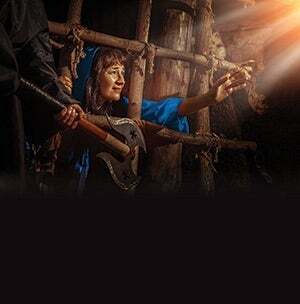 Here heaven was assuring Daniel that sin and the little horn power would not continue to prosper, control the world, and persecute God’s people endlessly. Instead, in 2,300 years God would step in with the heavenly Day of Atonement, or judgment, when sin and unrepentant sinners would be identified and later removed from the universe forever. Thus the universe will be cleansed from sin. The wrongs against God’s people will at long last be righted, and the peace and harmony of Eden will once again fill the universe. 5. What urgent point did the angel Gabriel repeatedly stress? “Understand, son of man, that the vision refers to the time of the end. ... I am making known to you what shall happen in the latter time of the indignation. ... Therefore seal up the vision, for it refers to many days in the future” (Daniel 8:17, 19, 26, emphasis added). Answer: Gabriel asserted that the 2,300-year vision involved events in the end time, which began in 1798, as we learned in Study Guide 15. The angel wanted us to understand that the 2,300-year prophecy is a message that applies primarily to all of us who are living at the end of earth’s history. It has special meaning for us today. After Daniel’s vision of chapter 8, the angel Gabriel came and began explaining the vision to him. When Gabriel reached the point of the 2,300 days, Daniel collapsed and was ill for some time. He regained his strength and resumed doing the king’s business but was much concerned regarding the unexplained portion of the vision—the 2,300 days. Daniel prayed earnestly for his people, the Jews who were in captivity in Medo-Persia. He confessed his sins and pleaded with God to forgive His people. Daniel 9 begins with the prophet’s earnest prayer of confession and appeal to God. Please take time now to read Daniel 9 before proceeding with this Study Guide. 6. While Daniel was praying, who touched him and with what message (Daniel 9:21–23)? Answer: The angel Gabriel touched him and stated he had come to explain the rest of the vision described in Daniel chapter 8 (compare Daniel 8:26 with Daniel 9:23). 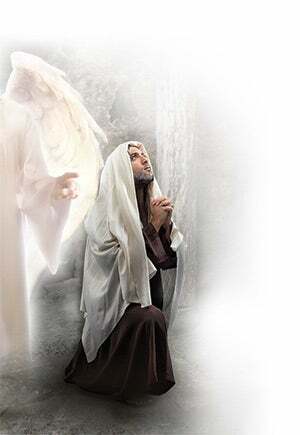 Daniel prayed that God would help him understand God’s message given by Gabriel. 7. How many of the 2,300 years would be “determined” (or allotted to) Daniel’s people, the Jews, and their capital city of Jerusalem (Daniel 9:24)? Answer: Seventy weeks were “determined” for the Jews. These seventy prophetic weeks equal 490 literal years (70 x 7 = 490). God’s people would soon be returning from captivity in Medo-Persia, and God would allot 490 years from the 2,300 years to His chosen people as another opportunity to repent and serve Him. King Artaxerxes authorized the rebuilding of Jerusalem in the year 457 bc. 8. What event and date were to mark the starting point for the 2,300-year and 490-year prophecies (Daniel 9:25)? Answer: The starting event was a decree from Persian King Artaxerxes authorizing God’s people (who were captive in Medo-Persia) to return to Jerusalem and rebuild the city. 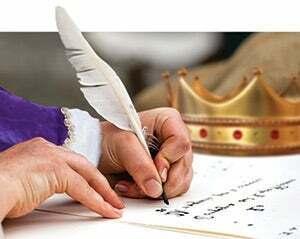 The decree, found in Ezra chapter 7, was issued in 457 bc—the seventh year of the king (verse 7)—and was implemented in the autumn. Artaxerxes began his reign in 464 bc. 9. The angel said that 69 prophetic weeks, or 483 literal years (69 x 7 = 483), added to 457 bc would reach to the Messiah (Daniel 9:25). Did it? A. The Bible is inspired. B. Jesus is the Messiah. C. All other dates in the 2,300-year/490-year prophecy are valid. What a firm foundation on which to build! 10. We have now considered 483 years of the 490-year prophecy. There is one prophetic week—seven literal years—left (Daniel 9:26, 27). What happens next and when? Answer: Jesus was “cut off” or crucified “in the middle of the week,” which is three and a half years after His anointing—or the spring of ad 31. Please notice that the gospel is revealed in verse 26: “After the sixty-two weeks Messiah shall be cut off, but not for Himself.” No—praise God!—when Jesus was cut off, it was not for Himself. He “who committed no sin” (1 Peter 2:22) was crucified for our sins (1 Corinthians 15:3; Isaiah 53:5). 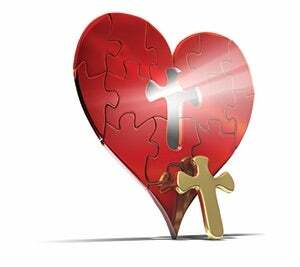 Jesus lovingly and willingly offered His life to save us from sin. Hallelujah! What a Savior! Jesus’ atoning sacrifice is the very heart of Daniel chapters 8 and 9. 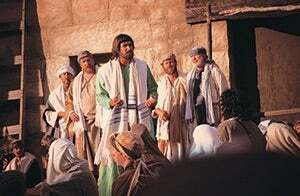 The disciples preached to multitudes of Jews. 11. Since Jesus died after three and a half years, how could He “confirm the covenant with many” (KJV) for all of the final seven years, as the prophecy in Daniel 9:27 mandates? Answer: The covenant is His blessed agreement to save people from their sins (Hebrews 10:16, 17). After His ministry of three and a half years ended, Jesus confirmed the covenant through His disciples (Hebrews 2:3). He sent them first to the Jewish nation (Matthew 10:5, 6) because His chosen people still had three and a half years remaining of their 490-year opportunity to repent as a nation. After the stoning of Stephen, the disciples began preaching to the Gentiles. 12. When the 490-year period of final opportunity for the Jewish nation ended in the fall of ad 34, what did the disciples do? Answer: They began preaching the gospel to other people and nations of the world (Acts 13:46). 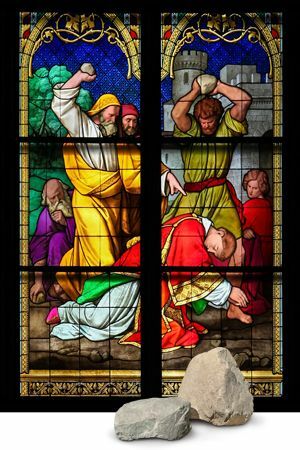 Stephen, a righteous deacon, was publicly stoned in ad 34. From that date onward, the Jews, because they collectively rejected Jesus and God’s plan, could no longer be God’s chosen people or nation. Instead, God now counts people of all nationalities who accept and serve Him as spiritual Jews. They have become His chosen people—“heirs according to the promise” (Galatians 3:27–29). Spiritual Jews, of course, include Jewish people who individually accept and serve Jesus (Romans 2:28, 29). 13. After AD 34, how many years of the 2,300-year prophecy remained? What is the ending date for the prophecy? What did the angel say would happen on that date (Daniel 8:14)? Answer: There were 1,810 years remaining (2,300 minus 490 = 1,810). The ending date for the prophecy is 1844 (ad 34 + 1810 = 1844). The angel said the heavenly sanctuary would be cleansed—i.e., the heavenly judgment would begin. (The earthly sanctuary was destroyed in ad 70.) We learned in Study Guide 17 that the heavenly Day of Atonement was slated for the end time. Now we know that the beginning date is 1844. God set this date. It is as certain as the ad 27 date for Jesus’ anointing as the Messiah. God’s end-time people must be announcing it (Revelation 14:6, 7). You will be thrilled to learn the details of this judgment in Study Guide 19. In the day of Noah, God said the Flood judgment would occur in 120 years (Genesis 6:3)—and it happened. In Daniel’s day, God stated that His end-time judgment would begin in 2,300 years (Daniel 8:14)—and it happened! God’s end-time judgment has been in session since 1844. The English word “atonement” originally meant “at-one-ment”—that is, a state of being “at one” or in agreement. It denotes harmony of relationship. Perfect harmony originally existed throughout the universe. Then Lucifer, a powerful angel (as you learned in Study Guide 2), challenged God and His principles of government. A third of the angels joined Lucifer’s rebellion (Revelation 12:3, 4, 7–9). This rebellion against God and His loving principles is called iniquity—or sin—in the Bible (Isaiah 53:6; 1 John 3:4). It brings heartache, confusion, chaos, tragedy, disappointment, sorrow, betrayal, and evil of every kind. Worst of all, its penalty is death (Romans 6:23)—from which there is no resurrection—in the lake of fire (Revelation 21:8). Sin spreads faster and is more lethal than the most deadly type of cancer. It put the entire universe in jeopardy. So God cast Lucifer and his angels out of heaven (Revelation 12:7–9), and Lucifer received a new name—“Satan,” which means “adversary.” His fallen angels are now called demons. Satan seduced Adam and Eve and sin came upon all humans. What a horrible tragedy! The devastating conflict between good and evil had spread to the earth, and evil appeared to be winning. The situation seemed hopeless. But no! Jesus, God’s Son deity Himself agreed to sacrifice His own life to pay the penalty for every sinner (1 Corinthians 5:7). By accepting His sacrifice, sinners would thus be freed from the guilt and chains of sin (Romans 3:25). This glorious plan also included Jesus entering a person’s heart when invited (Revelation 3:20) and changing him to a new person (2 Corinthians 5:17). It was provided to resist Satan and to restore every converted person to the image of God, in which all people were created (Genesis 1:26, 27; Romans 8:29). This blessed atonement offer includes a plan to isolate sin and destroy it—including Satan, his fallen angels, and all who join him in rebellion (Matthew 25:41; Revelation 21:8). Further, the full truth regarding Jesus and His loving government and Satan and his diabolical dictatorship will be taken to every person on earth so everyone can make an intelligent, informed decision to align either with Christ or Satan (Matthew 24:14; Revelation 14:6, 7). The case of every person will be examined in the heavenly courtroom (Romans 14:10–12) and God will honor the choice of each individual to serve either Christ or Satan (Revelation 22:11, 12). Finally, after eradicating sin, God’s plan is to create new heavens and a new earth (2 Peter 3:13; Isaiah 65:17), where sin will never rise again (Nahum 1:9), and give this new earth to His people as their home throughout eternity (Revelation 21:1–5). The Father and Son will then dwell with their people in perfect joy and harmony forever. All of this is included in the “at-one-ment.” God has informed us of it in His Word and demonstrated it in the Old Testament sanctuary services—especially the Day of Atonement. Jesus is the key to this at-one-ment. His loving sacrifice for us makes it all possible. Getting rid of sin in our lives and in the universe is possible only through Him (Acts 4:12). No wonder heaven’s three-point final message to the world calls upon us all to worship Him (Revelation 14:6–12). 14. Why do some Bible interpreters detach the last week (or seven years) of the 490 years allotted to the Jewish nation and apply it to the antichrist’s work at the end of earth’s history? A. There is no warrant or evidence for inserting a gap between any of the years of the 490-year prophecy. It is continuous, as were the 70 years of exile for God’s people mentioned in Daniel 9:2. B. 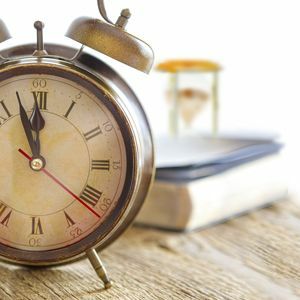 Never in Scripture is a number of time units (days, weeks, months, years) anything other than continuous. Thus, the burden of proof is on those who claim that any part of any time prophecy should be detached and counted later. C. ad 27 (the year of Jesus’ baptism) was the starting date for the last seven years of the prophecy, which Jesus emphasized by preaching immediately, “The time is fulfilled” (Mark 1:15). 1. “Messiah” would be “cut off” (verse 26). 2. 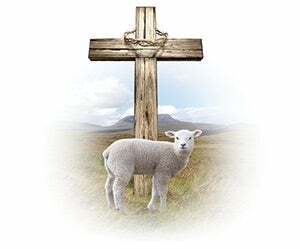 He would “bring an end to sacrifice and offering” (verse 27), dying as the true Lamb of God (1 Corinthians 5:7; 15:3). 3. He would "make reconciliation for iniquity" (verse 24). 4. He would die in “the middle of the week” (verse 27). There is simply no biblical reason to detach the last seven years (prophetic week) of the 490 years. Indeed, detaching the last seven years from the 490-year prophecy so distorts the true meaning of many prophecies in the books of Daniel and Revelation that people cannot correctly understand them. Even worse, the seven-year gap theory is leading people astray! 15. Jesus’ atoning sacrifice was made for you. Will you invite Him into your life to cleanse you from sin and make you a new person? 1. A little horn power appears in both Daniel chapter 7 and Daniel chapter 8. Are they the same power? The little horn power of Daniel 7 symbolizes the papacy. 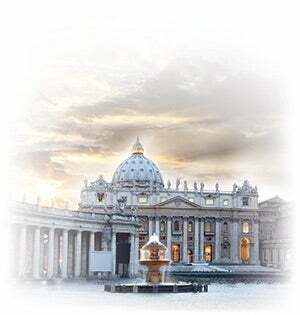 The little horn power of Daniel 8 symbolizes both pagan and papal Rome. 2. The “two thousand three hundred days” of Daniel 8:14 translated literally from the Hebrew reads “two thousand three hundred evenings and mornings.” Does this mean 1,150 days, as some contend? No. The Bible shows in Genesis 1:5, 8, 13, 19, 23, 31 that an evening and a morning equal a day. Moreover, there was no event in history at the end of 1,150 days that would fulfill this prophecy. 3. What part does choice play in a Christian’s life? Our choice plays a major part. God’s way has always been freedom to choose (Joshua 24:15). Though He wants to save every person (1 Timothy 2:3, 4), He permits free choice (Deuteronomy 30:19). God permitted Satan to choose to rebel. He also permitted Adam and Eve to choose disobedience. Righteousness is never a locked-in, programmed provision that takes a person to heaven no matter how he lives—and even if he doesn’t want to go. Choice means you are always free to change your mind. Jesus asks you to choose Him (Matthew 11:28–30) and to reaffirm your choice daily (Joshua 24:15). When you do, He will change you and make you like Him and, eventually, take you into His new kingdom. But please remember, you are always free to turn and go another direction at any time. God will not force you. Therefore, your daily choice to serve Him is imperative. 4. Many believe that the Seleucid king Antiochus Epiphanes is the little horn power of Daniel 8. How can we be certain this is not true? A. Antiochus Epiphanes did not become “exceedingly great,” as the prophecy mandates (Daniel 8:9). B. He did not rule at the “latter time” or near the end of the Seleucid kingdom, as the prophecy requires (Daniel 8:23), but, rather, near the middle. C. Those who teach that Epiphanes is the little horn count the 2,300 days as literal days instead of prophetic days—each equal to a year. This literal time of a little over six years has no meaningful application to Daniel chapter 8. All attempts to make this literal time period fit Epiphanes have failed. D. The little horn still exists at the “time of the end” (Daniel 8:12, 17, 19), while Epiphanes died in 164 bc. E. The little horn was to become “exceedingly great” in the south, the east, and Palestine (Daniel 8:9). Although Epiphanes did rule Palestine for a while, he had almost no success in Egypt (south) and Macedonia (east). F. The little horn throws down the place of God’s sanctuary (Daniel 8:11). Epiphanes did not destroy the temple in Jerusalem. He did profane it, but it was destroyed by the Romans in ad 70. Neither did he destroy Jerusalem, as mandated by the prophecy (Daniel 9:26). in the holy place” in Jerusalem. This is too clear to misunderstand. H. Jesus clearly related the destruction of Jerusalem to Israel’s final refusal to accept Him as their King and Savior (Matthew 21:33–45; 23:37, 38; Luke 19:41–44). This relationship between rejecting the Messiah and the destruction of the city and temple is the crucial message of Daniel 9:26, 27. It is a message announcing the consequences of Israel’s continued rejection of the Messiah—even after being given an additional 490 years to choose Him. Applying the prophecy to Antiochus Epiphanes, who died in 164 bc, long before Jesus’ birth, destroys the meaning of Daniel chapters 8 and 9—containing the most important time prophecy of the Bible. _____ Rome, in its pagan and papal phases. _____ The Bible is inspired. _____ The angel Gabriel made a lucky guess. _____ All other dates in the prophecy are accurate. _____ Jesus is the Messiah. _____ They began preaching to people of other nations. _____ They took a long vacation. _____ They said that no Jew would ever be saved after A.D. 34. _____ The judgment began in heaven. _____ The day of probation for the Jewish nation ended. 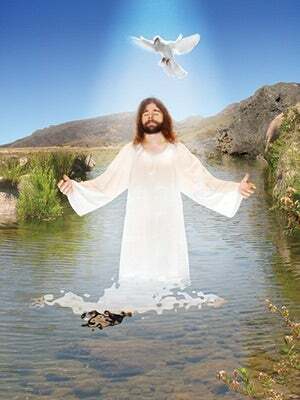 _____ Jesus ascended to heaven. _____ God closed probation for all people. _____ Jesus sacrificed His life to pay our death penalty. _____ Jesus freed us from the guilt of sin. _____ Jesus changes us and makes us completely new persons. _____ Jesus restores us to God's image. _____ In the heavenly courtroom, God honors the choice of every person to serve either Christ or Satan. _____ Full information goes to every person on earth regarding Satan's plan to destroy and God's glorious plan to save people. _____ Sin, Satan, and sinners will be isolated and destroyed. _____ God creates new heavens and a new earth for His people and will dwell with them. _____ Sin will never rise again. _____ The atonement was made possible by Jesus' sacrifice on Calvary. _____ Satan and his angels will be converted and saved. _____ Probation ended for the Jews as God's chosen nation. _____ The disciples began preaching to other people and nations. _____ Stephen, a righteous deacon, was stoned. 15. I have accepted Christ’s atoning sacrifi ce for my life and have invited Him to cleanse me from sin.